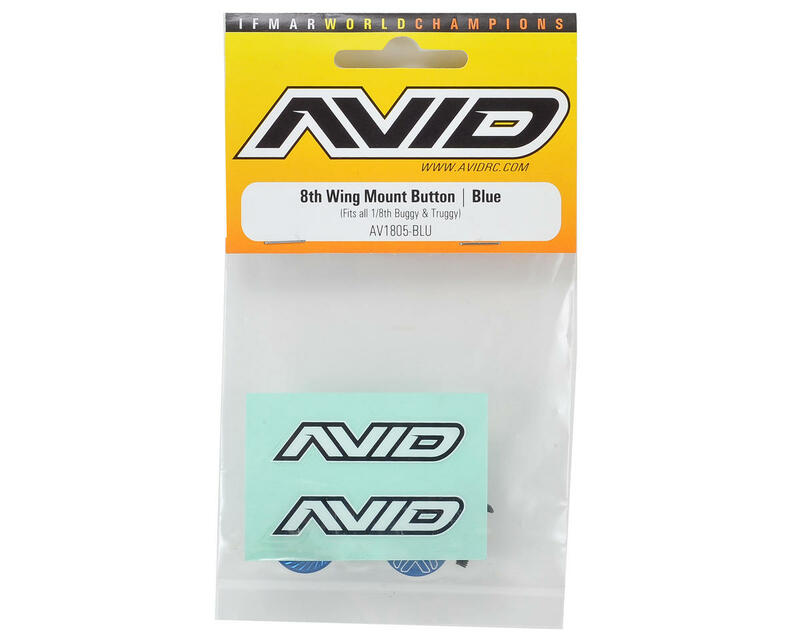 This is a pack of two optional Avid RC 1/8th Wing Mount Buttons. 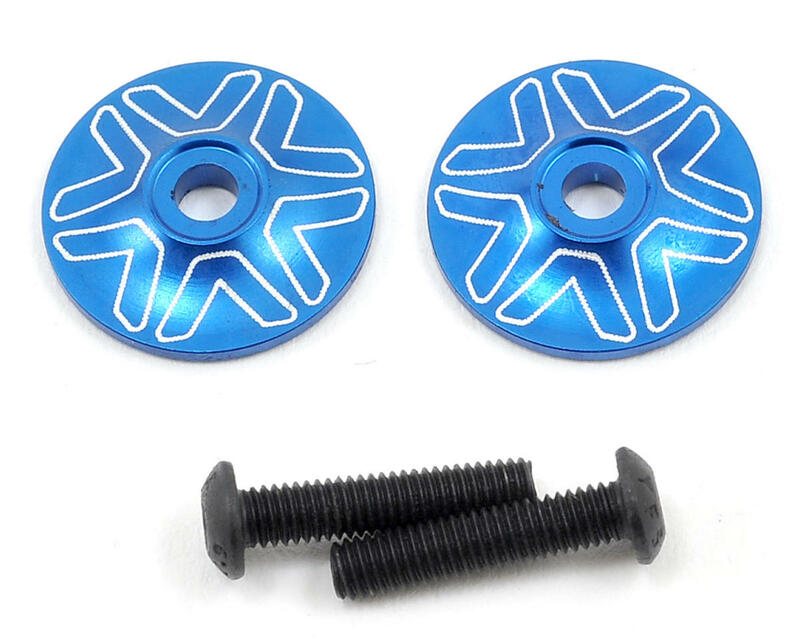 Avid RC Wing Mount Buttons are designed with an aerodynamic profile to avoid upsetting airflow to the rear spoiler, and most importantly, the under-side has serrated grippers to help keep your wing secure. The serrated bottom also prevents the button from twisting your new wing wrap causing the lamination to separate from the decal layer. These parts fit almost every buggy and truggy wing on the market. For those racers with “less than perfect” wing mount holes, the serrated teeth grip the wing so that you can over-size the hole to straighten your wing and it will stay in place.